Black Wheels Blow-Out Specials! Get them while they're HOT! 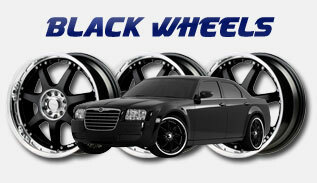 Discounted Wheel Warehouse has huge discounts on Black Custom Wheels at blow out prices. Black Rims at Blow-Out prices! This sale lasts for a limited time; so get them while they're hot!